There were no rugby games at Lymm on Saturday due to the cold snap and frozen pitches. 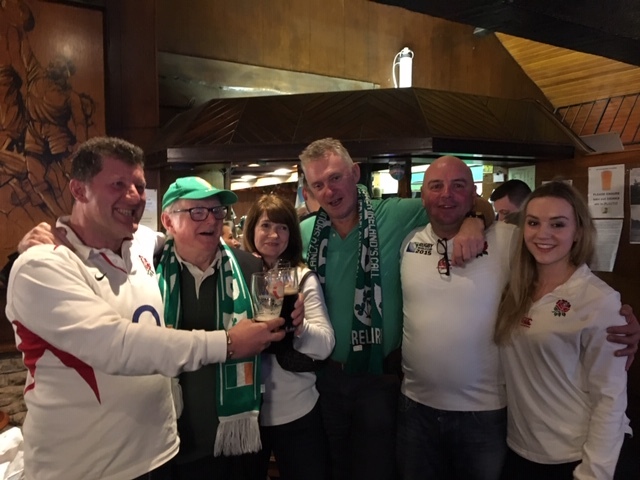 But the temperature in the clubhouse was warm and welcoming, as 50 people sat down to a lunch prior to the Ireland v England, 6 Nations match. Both teams were represented amongst the diners, with the minority Irish contingent increasing the temperature with their good natured banter. However, it was to be England’s day. There may have been rivalries during the match but in the end they all came together to celebrate the Lymm Rugby Club community at its best. A big thank you to Mal Pritchard for organising the event, assisted by Dave Linton and our Club Manager Rick and his staff for their excellent service.